A name day is a tradition in many countries in Europe and Latin America of celebrating on a particular day of the year associated with the one's given name. The custom originated with the Catholic and Orthodox calendar of saints, where believers, named after a particular saint, would celebrate that saint's feast day. In many countries, however, there is no longer any explicit connection to Christianity. 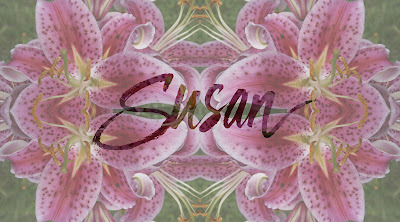 The name Susan is derived from the Hebrew word for lily, hence the lilies in the illustration.